Last month, OPPO CEO Chen Mingyong said in an interview with Qualcomm China that OPPO will soon launch a new smartphone with the Snapdragon 855 mobile platform . Chen Mingyong said that OPPO will strive to be the first manufacturer to launch 5G mobile phones, and will further develop AI capabilities with 5G, and actively explore the application scenarios of 5G+ era. 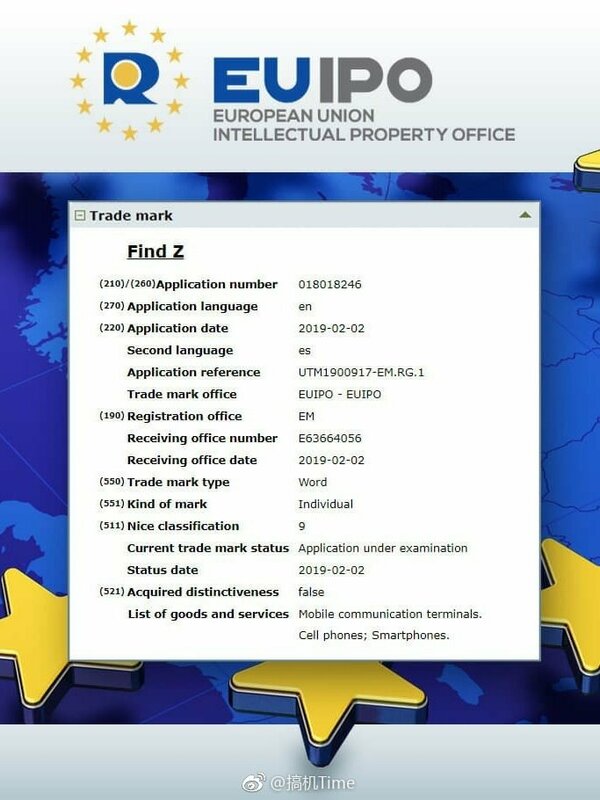 According to media reports, OPPO recently applied for the name of the registered trademark applied for by the European Union Intellectual Property Office. The information shows that the name of the machine is “OPPO Find Z”, which is also the first exposure of OPPO Find Z. 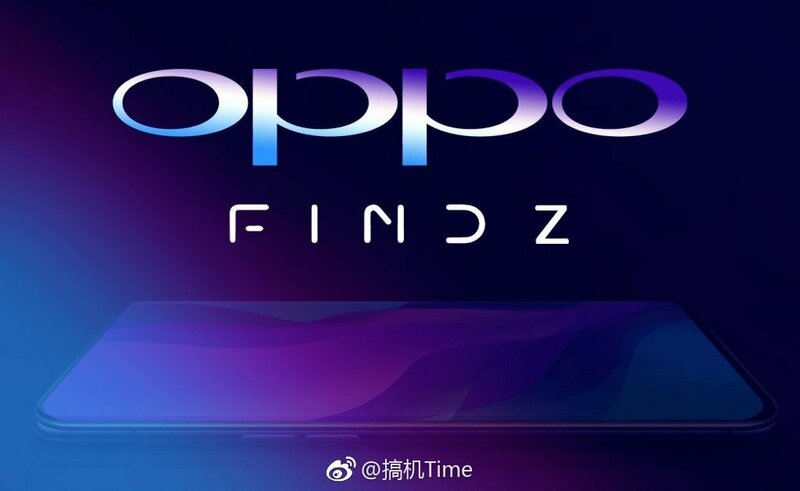 If the news is accurate, then “OPPO Find Z” will become the successor of “OPPO Find X” and will be equipped with the Snapdragon 855 processor. According to previous reports, the new machine may be announced for the first time on MWC 2019 and is expected to be adopted. An open display. At the same time, there will be a 3.5mm headphone jack on the top, and the front camera may use Samsung’s new ultra-thin image sensor to make better use of the interior space.